mmm!! that’s my drink; save some of it for me. You know how I love the gin!! Hot dang, browsing through your posts with all the different infused liqueurs has got me all excited! My partner and I have made a pimento dram and a tequila based limoncello in the past. Have always intended to do more. Now we’ve seen your blog we have no excuse not to. Thanks! Very happy to hear you are enjoying the blog. Hope we can inspire you to try infusing something new. I have enjoyed your “pretty cups”. They would look lovely with a home infused liqueur! Your infusions look great. Browsing your blog is making me thirsty. Nice photos, too. Thanks! Looks like you’ve got some great cocktails on your site. OMG! Thank you for liking a post on my blog, because it got me over here to paradise!!!! I will be sharing your posts with friends. You two are absurdly brilliant. Can I feature you on my new series Northwest Artists and Creative Genius? Are you on Twitter? you were right. i love your blog! this weekend i am going to get some ginger to make this! i’m came across it last week, maybe, and have been wanting to try it as well. it’s not booze but it sounds equally intriguing. btw, i might be coming to you with questions about my gin infusions, just warning you! It’s funny you should ask about that specific shrub recipe, I pinned the exact one a few weeks ago. 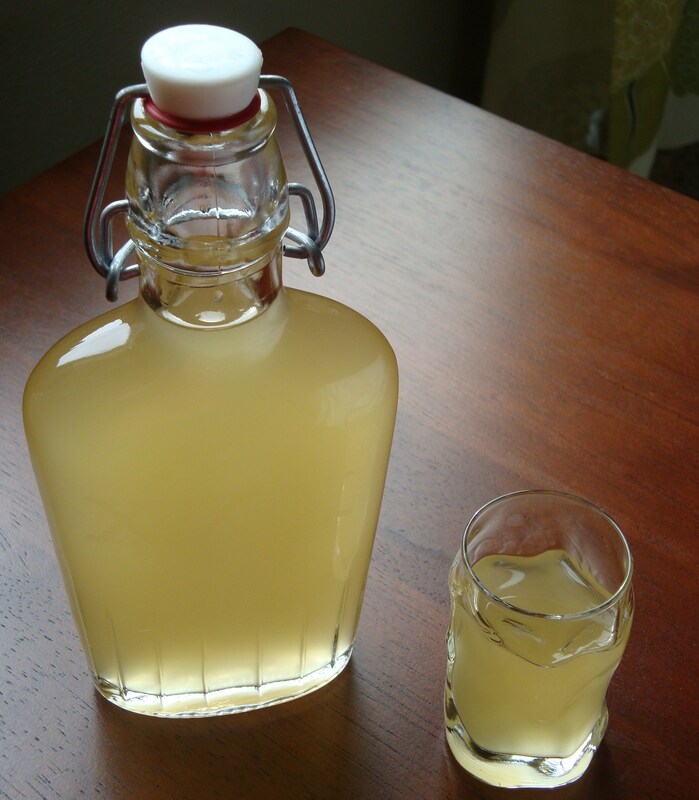 I have yet to make a drinking vinegar/shrub, but I really want to. I have tried a few at a local restaurant that makes them and they are really tasty. I think I’d like to make a tamarind one. I finally laid down a jar of this, but have a question for you? Where should I keep it while it infuses? It’s very hot and humid here at the moment, so I’m wary about leaving it at ‘room temperature’ and we don’t have a cool cellar or anything (everywhere is hot). Is the fridge the best bet? I don’t really know the answer to that. I always say to keep it somewhere cool because that’s what all the books say… But I don’t know what harm it would do it have it hotter. There is plenty of booze in this recipe for the amount of other stuff you put in. As for the refrigerator, I have seen some recipes that say to place them in the refrigerator, but I don’t know if that slows down or impedes the process at all… If it was me, I would probably just leave it out at room temp… But what kind of temps are we talking? It’s generally around 30 degrees C, which is about 80F. Maybe a picnic cooler with an icebag in it? I think you are fine at room temp. I think 80f is not that bad, and don’t worry if it gets hotter. I keep my infusions in a closet, and while it is usually cool in there, it is starting to get warmer here, and can get in the upper 70s in the closet. Honestly, I think you’re ok with the ginger infusion even if it gets up to 90. It would get to be a lot of work if you had to worry about keeping it in a cooler. I would choose room temp, and if it starts to get a LOT hotter, move it to the refrigerator. I’m excited for you to try this infusion! Hope you like it! Finally reporting on this: I love it. I’ve almost finished the first batch and I’ll filter the second (double) batch this weekend if I can find time. I’ve only really tried it with tonic – personally I think 50/50 with gin is slightly better than all liqueur, unless you have a real sweet tooth for drinks. Tested this theory out on my wife half an hour ago with a side-by-side comparison and she said that the 100% liqueur version tasted better on the first sip, but the 50/50 was better as you drank more and then waxed all philosophical about how this was often true of people two. Look at the reactions your recipes get! I also took out the mango liqueur last weekend. It’s nice, but still has this sort of mango bite that I’m not too fond of. The real success is the kiwifruit, which I made a huge batch of upon getting a huge bunch of kiwifruit gifted. It tastes fantastic even without the sugar, but I decided to add a little anyway and might try and filter it properly this weekend. Can’t wait to get started on some more! And I’m really glad about your success with the kiwifruit liqueur. Mine required a lot of filtering before I was happy with it, but coffee filters can work miracles! Keep me posted on your future infusions! how long do you think you should infuse for if I reduced the gin portions down to 1 cup but kept the other ingredients a little more than 50% of the original recipe? I’m trying to make an Xmas deadline! Hi there, I think this will taste great by Christmas! Go ahead and add the agave now, and sample it in two weeks and see what you think. I think you’ll be fine to strain it a few days before the holiday. The flavor may not be quite as strong as if you let it go longer, but it will still be really tasty. Cheers! 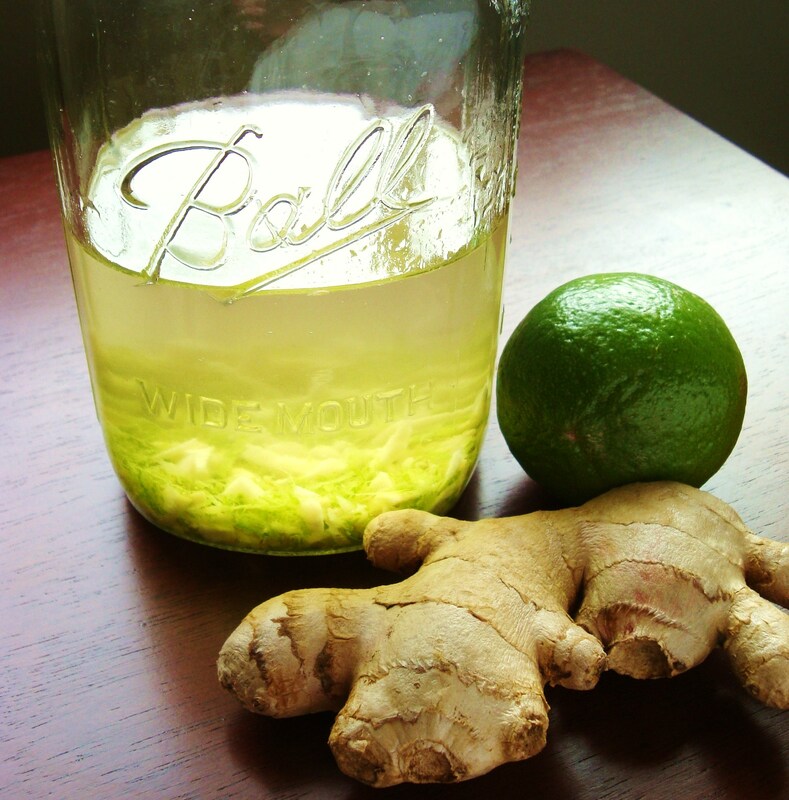 Your blog is wonderful, made the apple pie bourbon which is delish and now about to break out the lime ginger gin. Any suggestions on cocktails I could make with that for the 4th July wknd comingup? Hi! I just came across this today looking for Christmas gift ideas. I was wondering if you think this would work with Rum. My dad likes Dark & Stormys and I thought a ginger infused rum would be tasty. Thanks! Yes! TB is a Tablespoon! Sorry for the confusion.